We are not owed, we are owing. more in love with life than ever. the heart does not fail. Six long weeks: That’s how long I’ve been dealing with a one-two knockout combo of pneumonia and acute bronchitis. I am 90% healed now, by the grace of God, but still dealing with two minor complaints — mild pain in my chest and the loss of my upper register. My voice, my singing voice anyway, is gone. This (mostly) has not caused me much woe. I do enjoy singing, around the house and in church. It is disconcerting to reach for a note and have nothing come out of one’s mouth. I miss how pretty my voice could sound. But I have faith that it will return eventually. More disconcerting, by far, was the loss of my other voice — my writing voice. I’ve been absent from this blog for three weeks, mostly out of exhaustion and a need to heal. But those are not the only reasons. My illness made me lose my voice, the one I use to reach out to others, the one I need to delve into my own soul. It is difficult to feel creative when one’s life has been reduced to a preoccupation with drawing breath. Just inflating my lungs without pain was enough of a project to sustain me. Or was it? Yes, when a person is sick, her world becomes smaller, more focused on her physical being. But it doesn’t mean her inner life stops altogether. It gets put on hold, perhaps. It gets stifled, maybe. A good friend told me that in Eastern medicine, diseases of the lung are often associated with grief, especially unresolved grief. I have that in spades. And it made me think: Maybe that last 10%, that last push to the finish line of wellness that my body has yet to travel…maybe I need to heal my soul before my body can follow. So here it is: Please, God, help to express what is unexpressed in me. Bring back my voice, loud and clear, so that my vocal cords might follow. This may take some time. In the meantime, I’ll practice. I hope you won’t mind — it might not sound so good at first. Please be patient with me. Last night as I slept, some random driver ran over my mailbox. They didn’t stick around to apologize or offer to replace it. As you can imagine, I started my day in a bit of a tiff. It was just one more thing that stuck in my craw as my week got underway. Last week, I found out my car had been recalled. It will be at the shop for some time, possibly a month. “Do you know there are three recalls on this car?” The mechanic asked me. I almost said, “Just my luck,” but, fortunately, caught myself just in time. I remind myself every single day that I’m blessed. My luck, by and large, has been good. You might say, but you have health issues and, like many people, you’re not rich. How is your luck good? I’m lucky because I live in America. When I read that women in some countries have no rights, and may not even leave the house without being accompanied by a man, I can’t even fathom such a life. I’m lucky because I can speak my mind. When I read that peaceful protests over the lack of a government investigation into the coal mine disaster in Turkey were met with tear gas, I was utterly dismayed. I’m lucky because I can practice my faith. When I read about the Christian woman in Africa recently sentenced to death, I was beside myself with outrage. 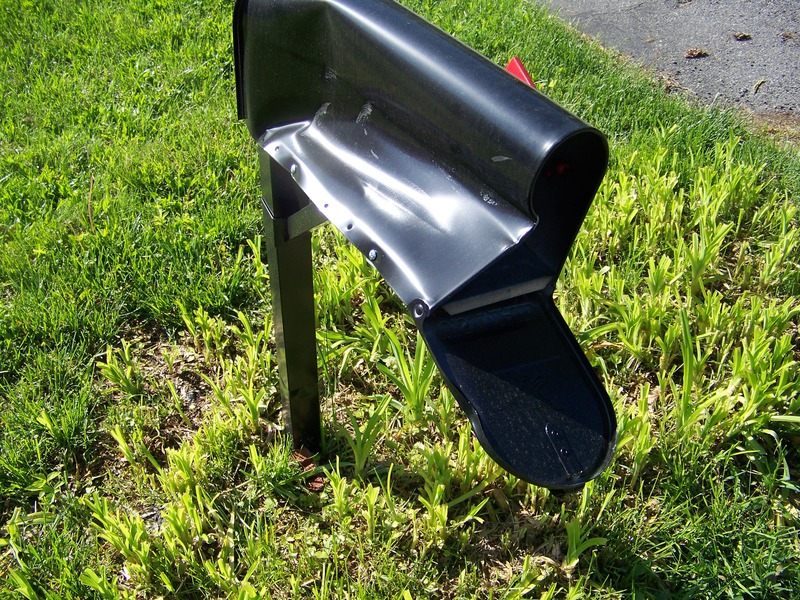 I began to realize that most people in the world would consider having such problems as a broken mailbox insignificant, and I got my attitude back on track. Getting over those bumps in the road is really a matter of trust, when you get right down to it. The other day, I saw a sign on my neighbor’s lawn that said, “No Trust Passing.” I was amused by the misspelling, but I realized it was oddly appropriate. After all, if you don’t pass the “trust test” you should not be allowed to enter into our lives. Even though we all face challenges, the best way to tough them out is to lean on the faith we hold dear. The only One who always passes the Trust Test is the God we can count on, whatever may come. Help me to hear your voice in my heart and in my soul. Give me a moment to pause so that I may listen to You. Only then, may I speak. I read something like 100 different blogs. Some of them are religious, like this one. Something happened on one of them about a week ago that simply floored me. The blogger wrote about whether or not women could be preachers or elders. Her answer is no. She has firm opinions and she can back them up with Bible verses. She then invited discussion. I’ll admit that I didn’t read it all. In part, this was because there was just so much of it. But I have to admit, the main reason that I quit reading was the tone. A number of women minsters responded. They were respectful of her views but also stated their own. That was one of the politer comments and it went downhill from there. They went on to imply that these women ministers hadn’t been called by God, they had been called by Satan. Hateful stuff. Ugly stuff. These women wouldn’t dream of teaching a man, because that would go against God’s word, but they had no problem slamming other women down. I wanted to post. I wanted to put them in their place. But I heard that still small voice. There’s enough ugliness in this world. 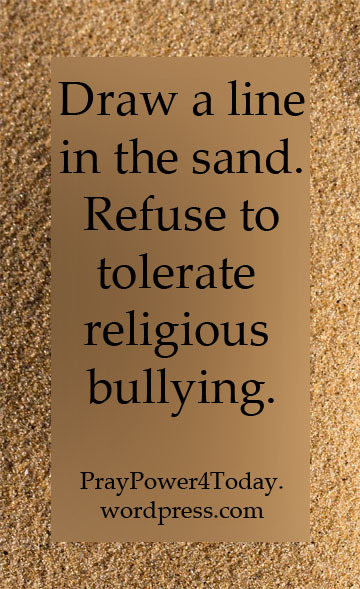 Adding to it in God’s name isn’t something any of us needs to do. It doesn’t matter if we have a strong opinion, an opinion that we can back up with the Bible. They are Bible verses, not Bible versus, and it is time we quit using them like weapons against each other. I have to admit that I was surprised when our choir director picked this particular piece for Mother’s Day. But then, I’m Presbyterian and we don’t pray the Hail Mary. Obviously, I’ve heard this piece of music but didn’t know the meaning behind it until Zack explained it to us. 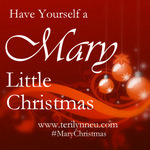 The Ave is the angel Gabriel’s greeting to Mary. Catholics, including Zack, know this as the Hail Mary prayer. The Ave simply sets it to music. Hail Mary and bless you. Through you, we are all blessed with God’s grace and mercy. Where would we be if you had declined? I don’t know about you but I have a bad habit of letting my thoughts hold me hostage, especially when I mess up. Whenever something bad happens, I run through it again and again and I call myself names I would never call anyone else. Last weekend, I got to see this in action. My husband bought me a laptop because I’m in the middle of a huge assignment. I took the laptop with me on my annual writers’ retreat. That way I could participate and still get some work done. Sounds great, doesn’t it? Unfortunately, the first night at the retreat, I cracked the screen. On my good days, I know God doesn’t hate me. I truly know this, at least right up until the negative self- talk starts. Breaking my brand new computer promised to be one of those negative situations full of self-hate. But they don’t, and as soon as I remembered that I side-stepped that potential funk and was able to get on with my day, even helping a few other people wrestle with their own self-doubts. Writers are always full of self-doubt! But I know it isn’t just writers. There are so many of us who have allowed our negative thoughts to run wild. My words of advice for you? Don’t entertain these thoughts. God loves you. Hating yourself doesn’t serve Him in any way. When self-doubt threatens to flatten you, take a few moments to bask in His Love. If you can’t do it yourself, call in a fellow prayer warrior. As they hold you up in prayer, listen to what He has to say. It’s a message worth hearing.